Our optometrists at Sherwood Park Eye Centre are committed to providing excellent eye care for every patient. We listen to your concerns, discuss your vision and eye-health issues, and thoroughly detail treatment options while offering advice on the best course of action. We view our relationship with you as a partnership, and we want you to ask us questions and share your health information so we can do a better job detecting your vision problems and treating your eyes. 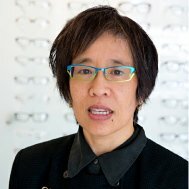 We are the optometrists Sherwood Park can trust. 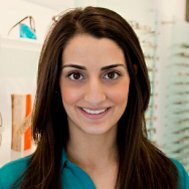 Dr. Natasha Randhawa joined Sherwood Park Eye Centre in 2012 and has a special interest in children’s vision. Born and raised in Edmonton, she earned her undergraduate degree (BSc) in Biological Sciences at the University of Alberta. She then headed south of the border to complete a Doctor of Optometry degree at one of the top optometry schools in America, Salus University. 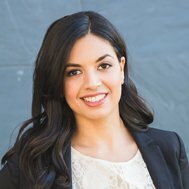 Through her rotations in the optometry program, Dr. N. Randhawa had the opportunity to develop unique areas of expertise. She completed a Specialty pediatric rotation at The Eye Institute in Philadelphia, PA, where she received honours for her work. Dr. N. Randhawa co-authored a published paper while at a rotation working on cornea/specialty contact lens candidates. In Fairfax, Virginia, Dr. N. Randhawa completed a rotation that focused on glaucoma and cataract patients. Due to Dr. N. Randhawa’s educational and working background, she has developed a special interest in working with children, as well as those with challenging contact lens fits. However, she is eager to help new patients with any sort of eye and vision challenges. Dr. N. Randhawa is currently accepting referrals for scleral contact lens fittings, a specialty contact lens used to treat a variety of eye conditions. Fluent in English, French, Punjabi and Hindi, she can communicate with a great variety of patients. Her non-optometric joys include reading, travelling and spending time with her three kids. 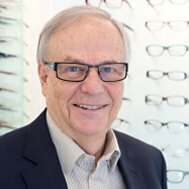 Dr. Joe graduated from the University of Waterloo School of Optometry in 1980. Upon graduation, Dr. Joe moved to Alberta, where she practiced in clinics in St. Albert and Edmonton before returning to Ontario for two years. In 1990, she returned to Alberta to join Dr. Morrow in partnership in the St. Albert and Sherwood Park offices. In 1995, both doctors decided to focus their energies on the Sherwood Park office and sold the St. Albert office. Dr. Joe enjoys practicing in a family optometric clinic where she is often able to provide optometric services to several generations of the same family. It is also a pleasure to be able to provide the latest technology in eye care, as well as superior service in contact lens and spectacle frame and lens therapy. Dr. Scott Brisbin joined the Sherwood Park Eye Centre in 2006 after having practised in Southeast Edmonton for four decades. He has done many clinical studies in the area of contact lenses, published a number of articles and spoken on a wide variety of topics around the world. In addition to a busy private practice, he has also led his profession at the local, provincial, national and international levels. In 2000, he became only the second Canadian to lead his profession's world body, the World Council of Optometry. He has been a key player in global blindness prevention through the liaison he helped create with the World Health Organization. Dr. Brisbin has received a number of awards including World Optometrist of the Year in 2004 and an Honorary Doctor of Laws from the University of Waterloo in 2005 for his blindness prevention work. His national and provincial associations have honoured him with their highest awards: the President's Award. He is an Honorary Life Fellow of the American Academy of Optometry. Dr. Brisbin and his wife have two grown children and three grandchildren. He and his wife love to travel the world. Dr. Khroad was born and raised in Edmonton, Alberta. She obtained her Bachelor of Science degree at Concordia University of Edmonton. She continued her education at Salus University in Philadelphia, Pennsylvania where she obtained her Doctorate of Optometry. During Dr. Khroad's spare time she enjoys traveling, keeping active, and spending time with family and friends.